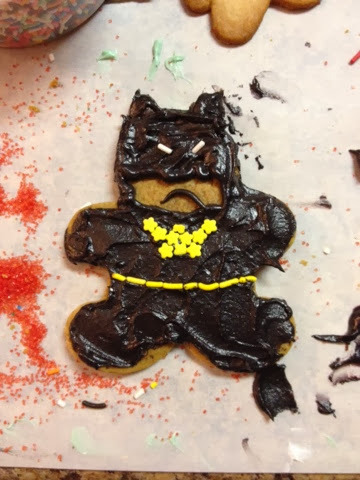 For some odd reason, we had black frosting... So why not? 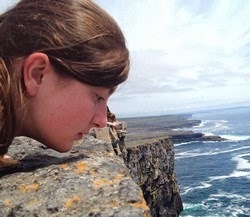 Look up in the sky! It's a bird! It's a plane! 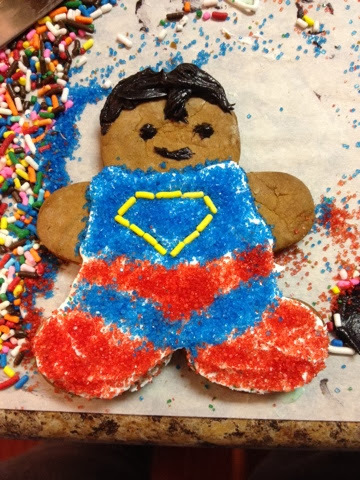 It's Supercookie! 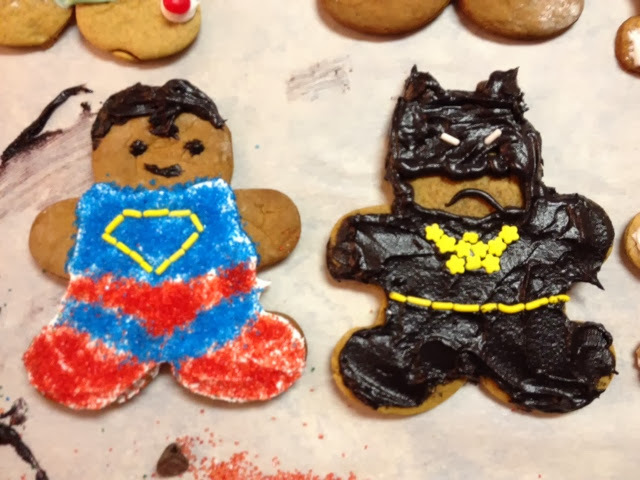 Maybe next year I'll make the entire Justice League! 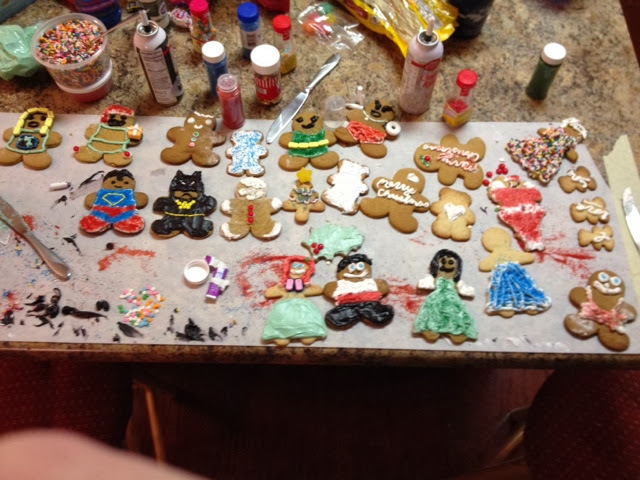 Here are all the cookies that my sister Mikayla, my friend Angi, and I made. Some were more successful than others.